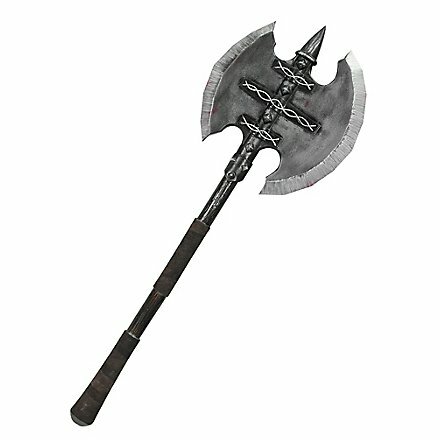 Original Age of Conan Vanaheim Double Headed Battle Axe Foam Weapon. 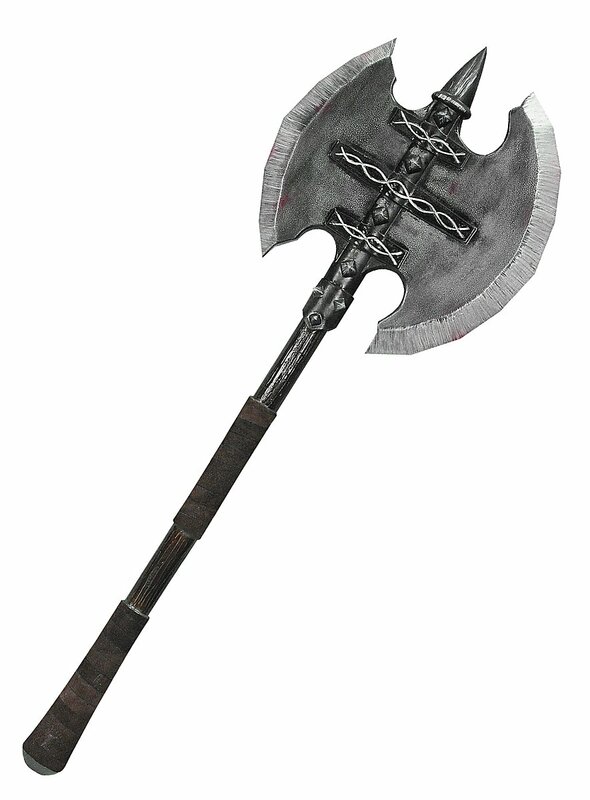 This stately original Age of Conan Vanaheim double headed Battle axe foam weapon is terribly beautiful. The double blade looks as if it was forged by hand from tempered steel. This safe LARP weapon is actually made of soft latex foam that covers the fiberglass rod at its core. The spike at the top allows you to use this axe for more fighting tactics than a double headed battle axe already accommodates. Latex and a sealing coat make sure that this original Age of Conan Vanaheim double headed battle axe foam weapon has a long service life. The handle is wrapped with suede in two places for increased comfort and control.